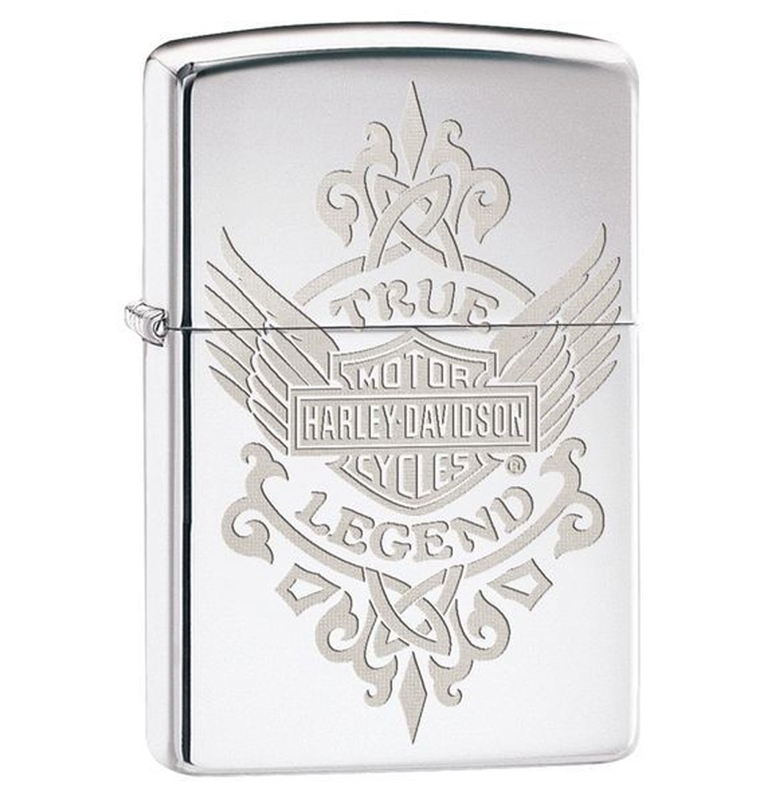 Amazing zippo lighter in an exclusive storage box. 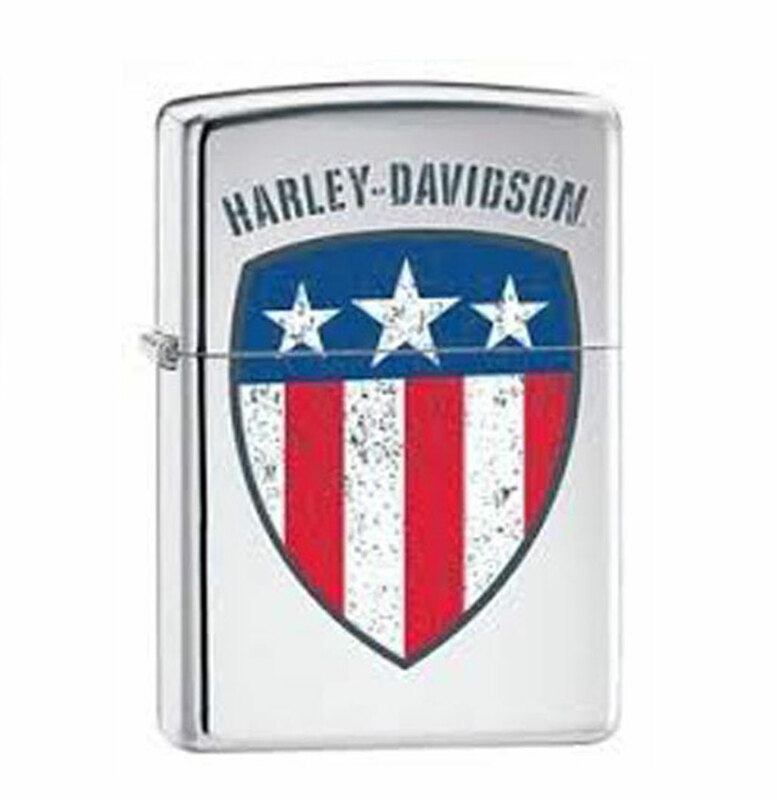 Are you a smoker and running out of lighters again and again? Then this is a great solution, besides the functionality it also is an amazing set as decoration. The lighter has a cool logo printed on the front. This is also a great giveaway! 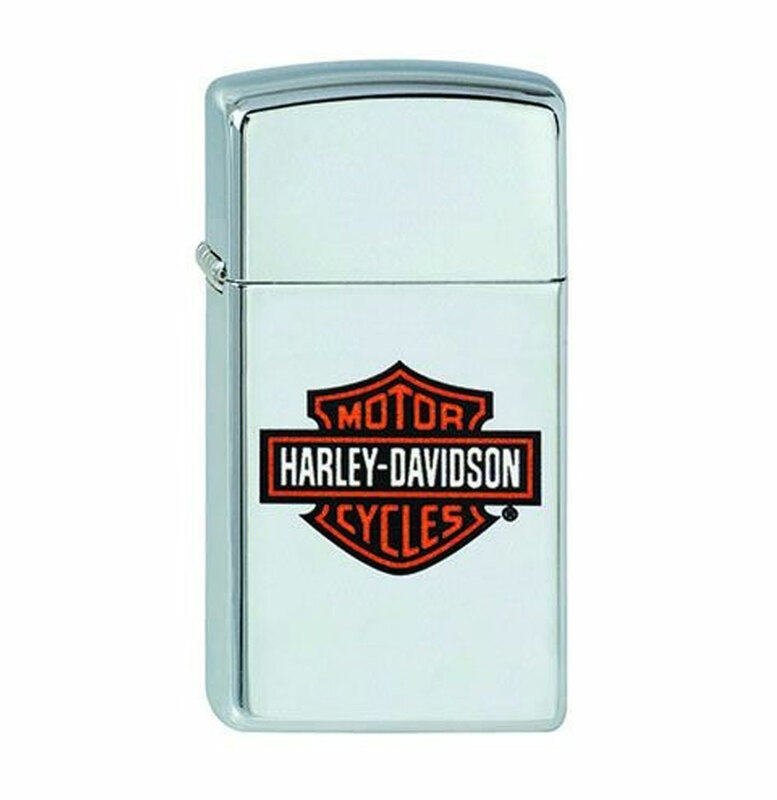 Gave Harley-Davidson Logo Chrome Zippo aansteker, steek je sigaret of kaars aan met style! 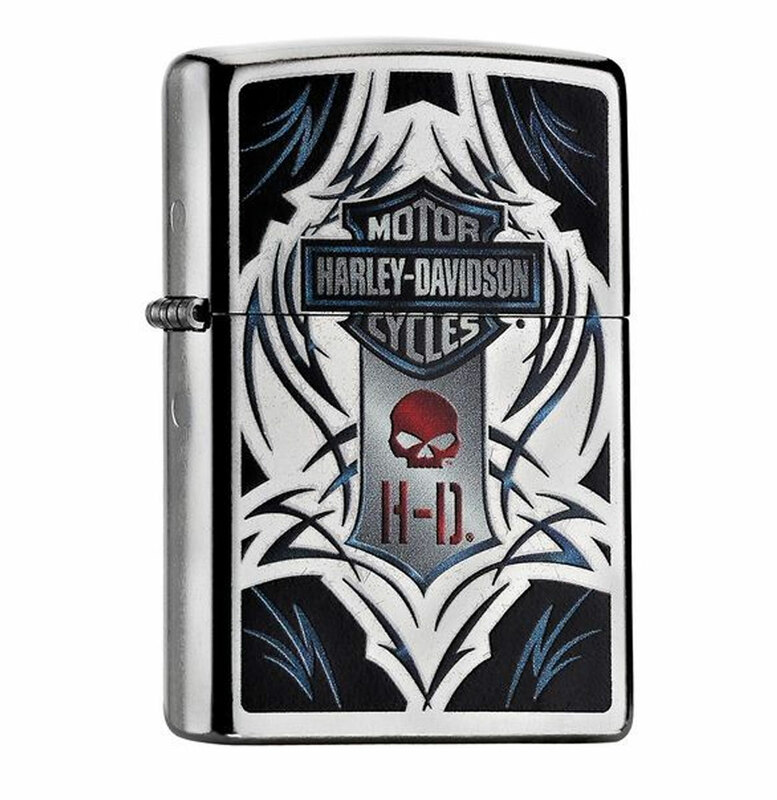 Gave Harley-Davidson Gothic Style Schedel aansteker, steek je sigaret of kaars aan met style! 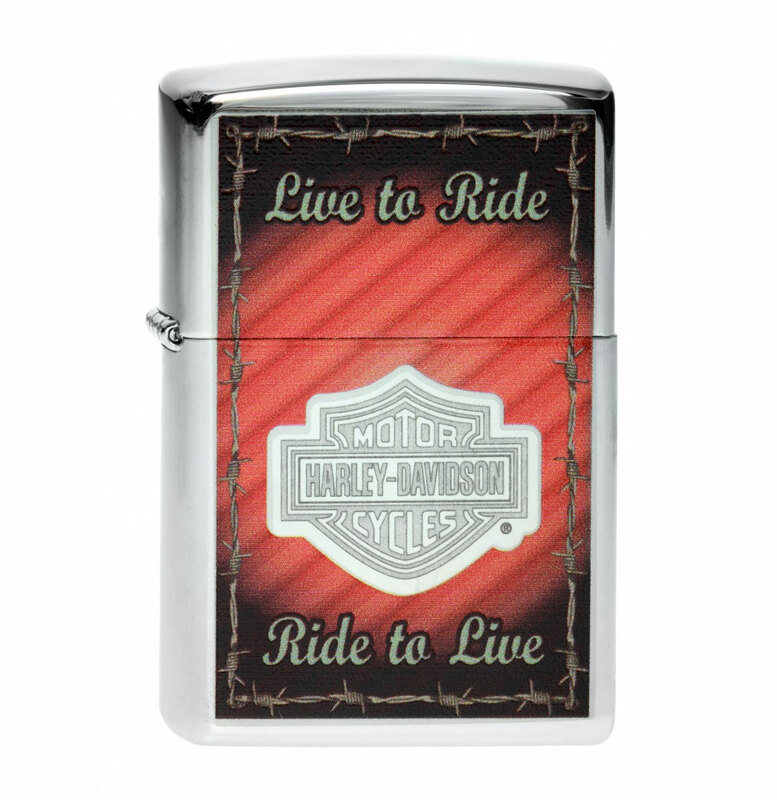 Zippo lighter with the Harley Davidson bar & shield logo, live to ride, ride to live on the top and bottom and barbed wire around it on an orange/red striped background which fades to black on the edges. 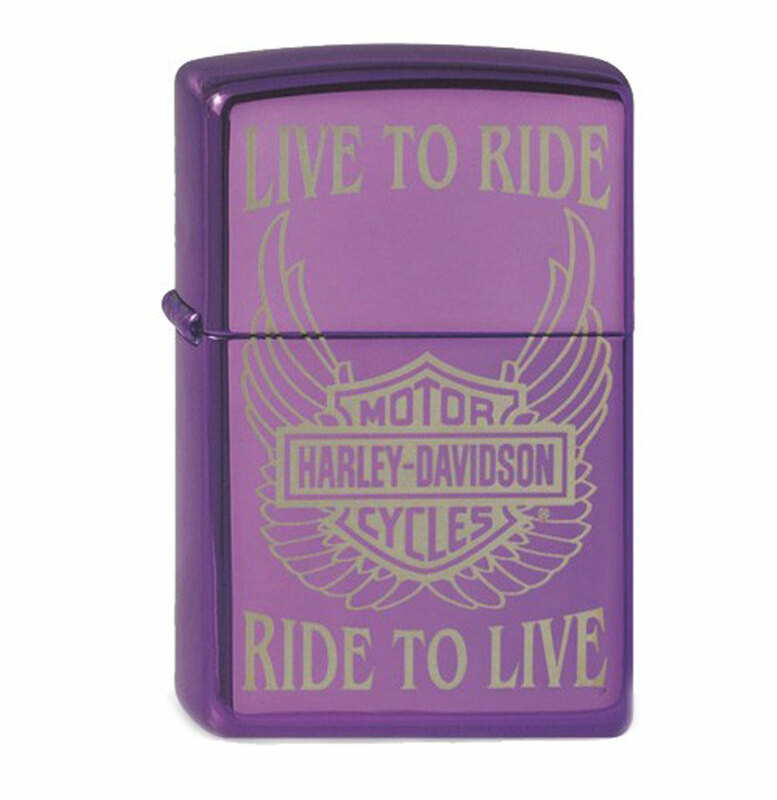 Zippo lighter in purple with the Harley Davidson Bar& Shield, wings and the text: Live to ride, Ride to live at the top and bottom. 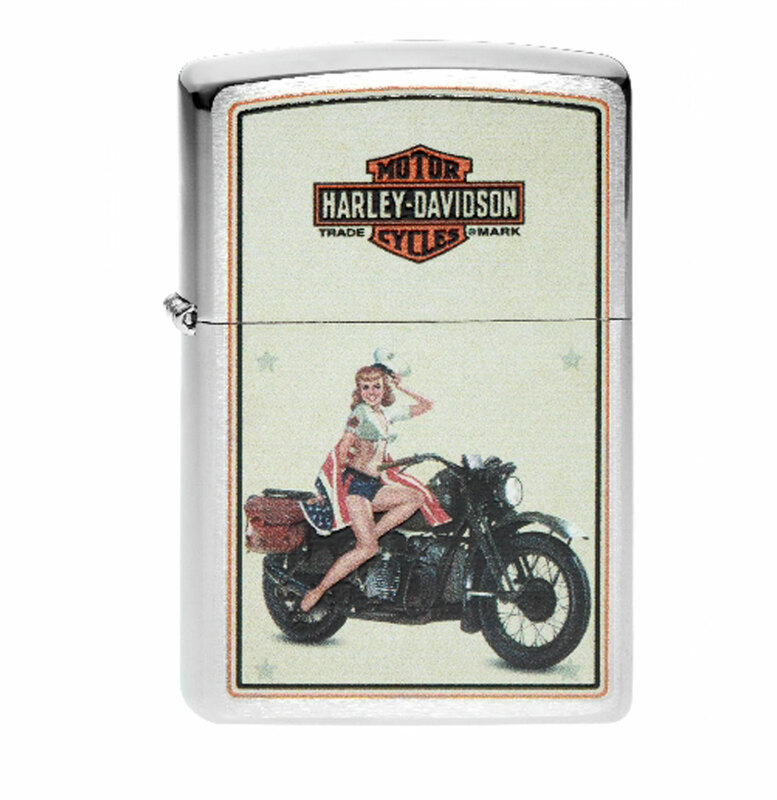 Zippo with an image of a Marine style pin-up and Harley Davidson motorcycle. 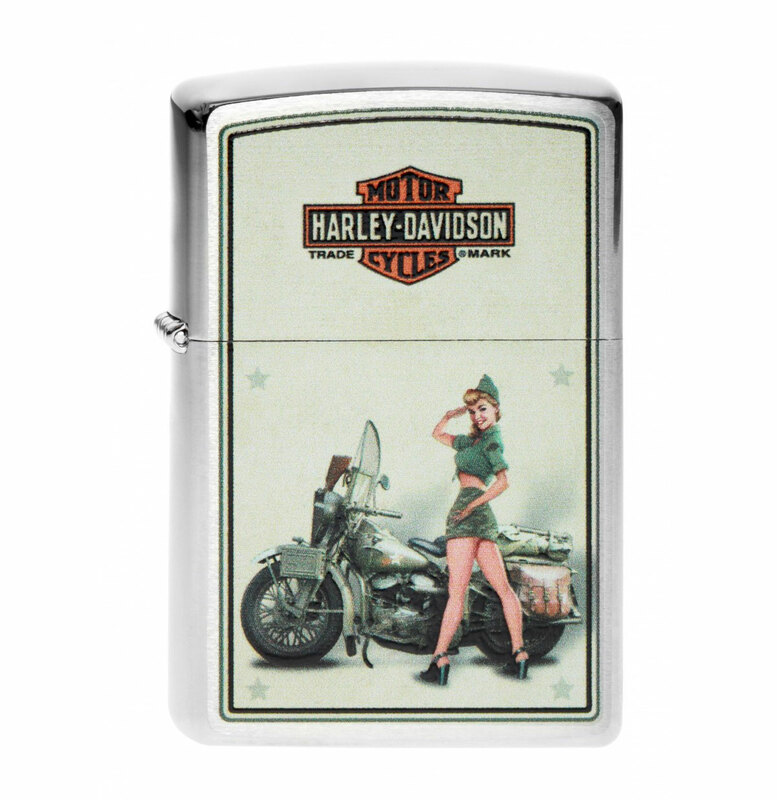 Zippo with an image of an army style pin-up and Harley Davidson motorcycle.